There is nothing more tantalizing to the senses than inhaling that decadent, deep-roasted scent of espresso coffee. With highly pressured bursts of water melting away finely ground coffee beans, it’s no wonder that an espresso offers you one of the most authentic coffee experiences up to date. After basking in the espresso experience for a while you might start to notice that the flavour of your coffee morphs into an unappealing aroma that only faintly reminds you of the magnificent brew it used to be. You might find yourself pondering how exactly you can prevent this from happening or where you went wrong. Caffenu cleaning capsules are specifically designed to get rid of bacteria, oils and other build-up in the brewing chamber. Just one cleaning capsules ensures that you get the same arresting aroma for up to 30 cups of espresso coffee time after time. 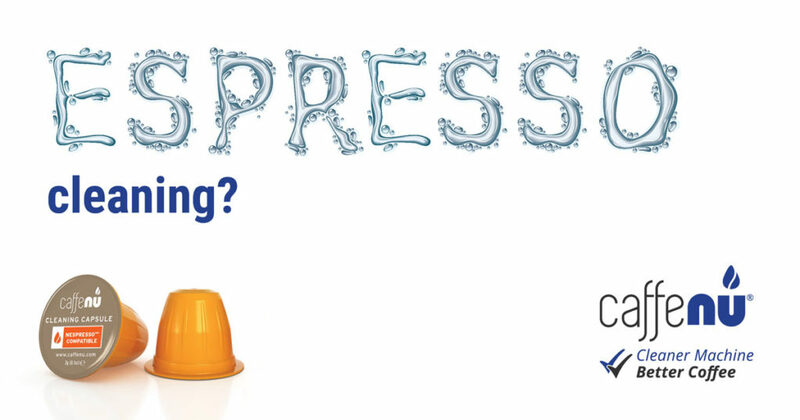 Regular cleaning with Caffenu cleaning capsules also help to expand the overall lifespan of your coffee machine. Be the coffee sommelier of your household and contact Caffenu today. This entry was posted in quotes and tagged Caffenu cleaning capsules, coffee machine, cup of coffee.